Dry Break Valve (Female) 4.75" B.C. Flange, Tank Mount for DBM200R Redhead, 2.5 Receiver, No Bulb Quickly fuel your racecar, motorcycle, or dirt bike without spilling fuel. Designed to be tank mounted. 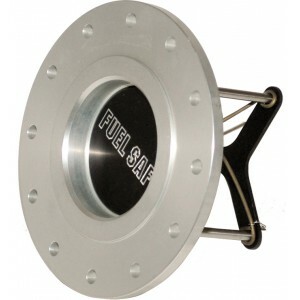 Great for mounting directly to a gas tank or a racing fuel cell or motorcycle tank. Designed to be use in the pits for fueling race cars, motorcycles, and dirt bikes in endurance races to refuel quicker and safer without spilling fuel and reducing the risk of a fire. Tank mounted motorcycle dry break for track bikes, superbikes and for dirt bikes.